Howdy, peeps. 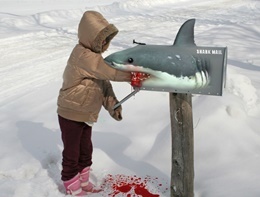 Today we are going to start a 2-part lesson on how to make a killer direct mail campaign. 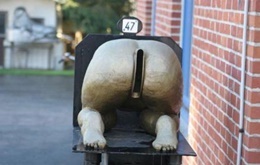 I am obviously a huge believer in online marketing, however, I also believe there’s still a place of value in your marketing arsenal for direct mail. Sure, most people are moving to email and text notifications… but, many still place a really high value on good old-fashioned mail. In fact, in a world that’s getting more and more virtual, a good piece of snail mail in your mailbox can still be highly effective – especially when it’s done the right way. Stage #1: Targeting and mailing. Now, this includes a drip or follow-up campaign. Stage #2: Receiving calls or getting website submissions. We refer to this phase as the due diligence and circumstance analysis. Stage #3: Making offers and negotiating our terms. Stage #4: Flipping the property or closing and keeping it as a rental. And best of all, we want to get paid. Alrighty, now that we know what the stages are, I want to talk about Stage #1: Targeting and Mailing and then we’ll cover how to choose your direct mail piece. Targeting is just selecting the audience you want to market to. Keep it simple. You’re looking for either cash buyers or motivated sellers. If you want to buy a list of ready-and-willing cash buyers, we recommend you do it the new way by leveraging technology. You know we do still love technology, of course. There are software programs and list services that can automatically generate a list of all the cash transactions that happen in your target market. Of course, if you like doing things the old-school way, there are ways to pull the lists manually and on the cheap. Now, wouldn’t you agree that it’s really, really important to remember that just because a service or a list provider tries to sell you on ideas such as, “Hey, why don’t you get a divorce list?” it doesn’t necessarily mean it’s a good list? For example, a record on a divorce list means they may or may not even be a homeowner. Or they might be a homeowner and have zero equity. Without a ton of manual labor, like cross-referencing each and every record on this divorce list – a list like this won’t actually produce good results. So, once you have your target list in place, it’s time to pick a mailing piece. I recommend you start by sending the absolute cheapest form of direct mail the first time you mail to a new list. You want to make sure it’s a really good responsive list before you start pulling out the big marketing dollars. I am a massive fan and lover of postcards. Like I mentioned above, I always send a cheap black-and-white 2-sided postcard for my first mailing. If I don’t get the response I want, I’ll typically send out either a yellow letter next or follow up with a colored postcard on canary yellow paper. Then, I’ll follow up with a postcard maybe with my wife’s picture on it. Because, let’s face it, she’s a lot better looking than I am and she gets a better response rate. Always make sure that they can easily find your contact information. Most importantly, your phone number or squeeze page or landing page where they can go and submit their property information. And, I love the handwritten additions. It’s just a little something that adds a human element and makes it stand out that much more. Yeah, man. Doodles, scribbles… they help sell! They work. Now, you could put a lot of different things inside. You could put a sponge… a pencil… a coin. You could even put your kid’s toys. But – the key is – when it’s lumpy, people are just so compelled to find out what’s inside, they open it and you get a chance for your message to be seen. And, you know what, I’ve sent crazy stuff… fortune cookies, coconuts… crazy stuff. And it works. Cody’s Tip: If you need help deciding which direct mail strategy will work best for you, make a T-chart to weigh the pros and cons. This way, you can cleanly divide the advantages and disadvantages of each and make a more educated decision. Make sure you keep all this awesome direct mail info fresh on your mind because in the next post, we’re going to cover how to actually mail out your killer campaign.